2100hp Mega Nitro Mud Truck is a Beast! 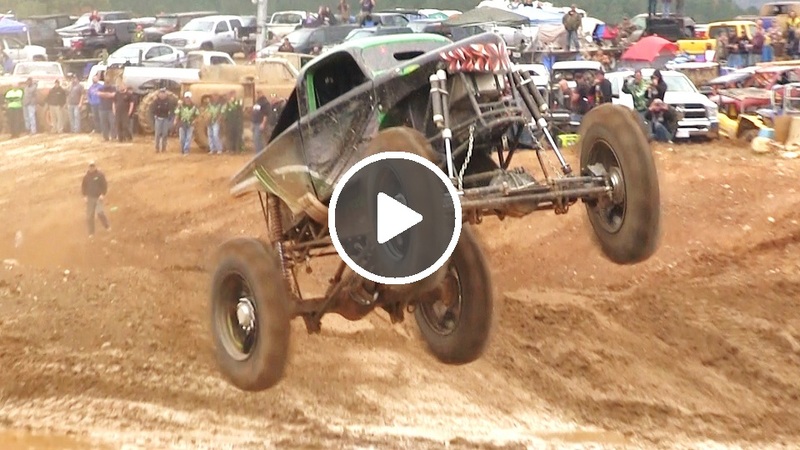 Watch the Some of the Baddest Mega Mud Trucks in the World take on the Tire Tow competition during the 4x4cross Throttle King Finale at Twitty’s Mud Bog in Ulmer, South Carolina. This massive tire is filled with dirt and weighs in at over one thousand pounds. This is a true test of horsepower and torque for these massive mud monsters as they attempt to pull this behemoth down the dirt track. This is just part of the competition. The drivers also compete in a Hill and Hole mud pit and Tug of War Competition. For more Mega Truck videos check out the Busted Knuckle Video Youtube Channel. Watch the Baddest Mega Mud Trucks in the World get Wild in the video below.